together to enjoy great music in the beautiful surrounds of the Yarra Valley. 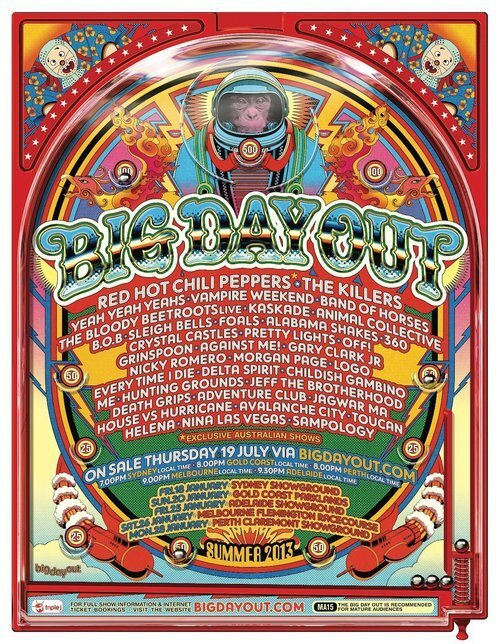 Jam is set to be the Yarra Valley�s greatest music event... it is also the best value for money! There are discounts for groups of 10 or more. Or be one of 10 to win their money back. 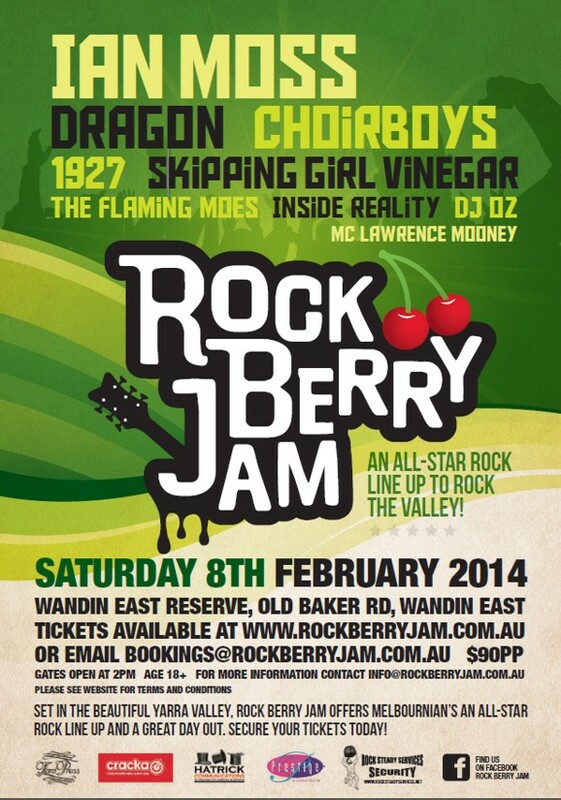 Tell your friends and even those you don't like - GET ON BOARD THE ROCK BERRY JAM TRAIN. EVERYTHING BELOW HERE IS FROM THE OLD MAX MOOSE SYSTEM. 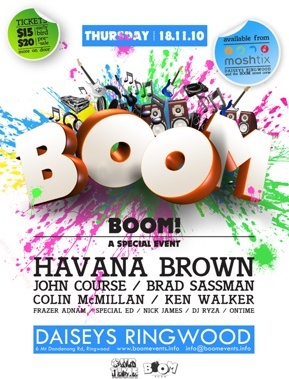 "BOOM" explodes into Melbourne on November 18! 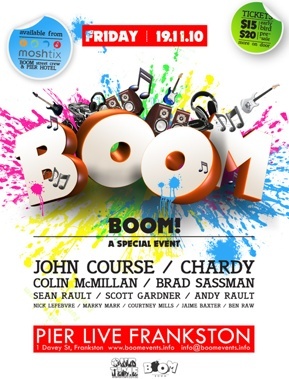 The initial events are in Ringwood (18/11) and Frankston (19/11). 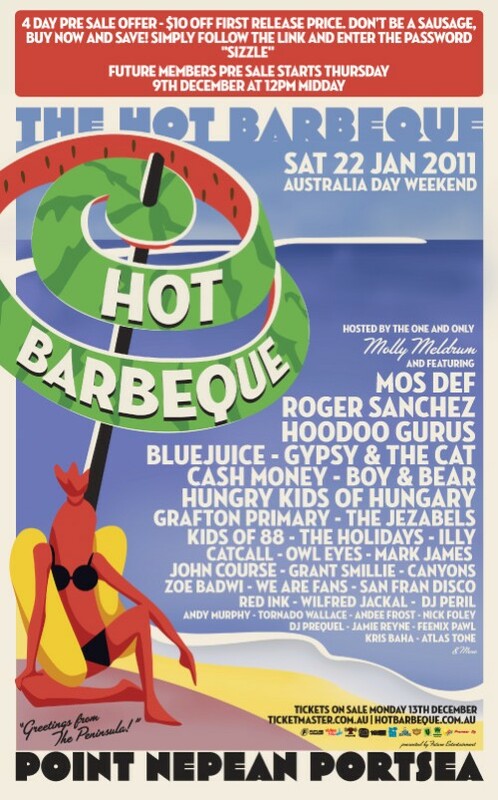 of Melbourne's most influential DJs / promoters. It's set to spread both locally and nationally. systems, room decor and eclectic sideshows to put the fun back into clubbing. 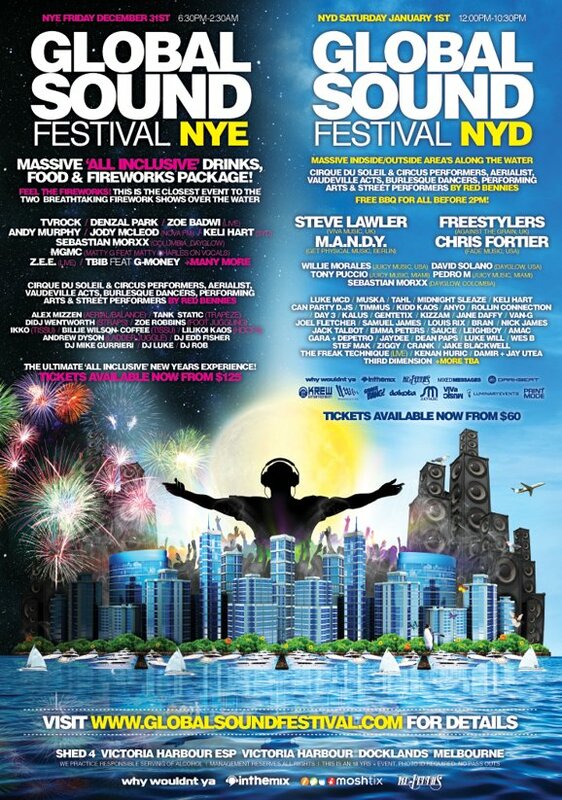 This is the new page for putting all the info on Dance Music Festivals & Events. 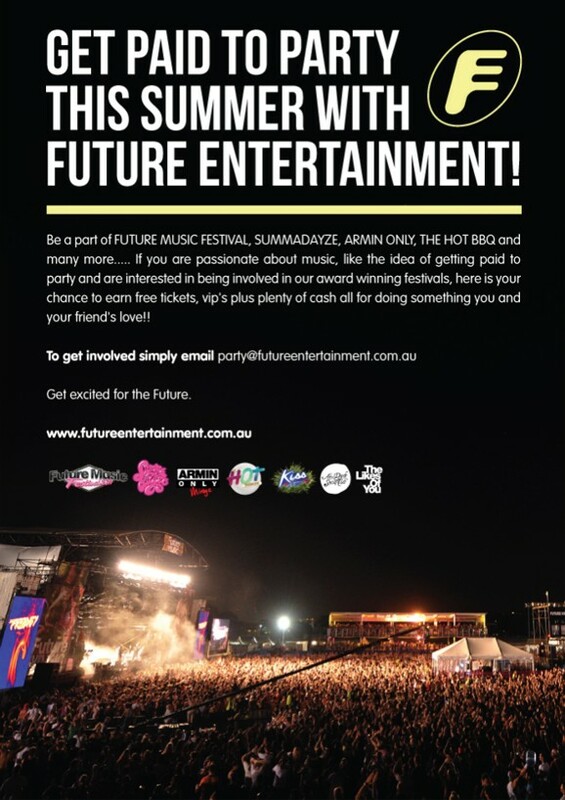 We want to know what you know about Summadayze, Stereosonic, Future Music, Parklife, GodsKitchen, Good Vibrations, Likes of You, Winter Sound System, Kiss My Grass, etc. Start scribblin'!